We all know Denver’s got some pretty dope weather for most of the year. There’s literally over 300 days of sun. One of the best ways to take advantage of all those awesome sunny days is to explore the city and surrounding areas on two wheels. 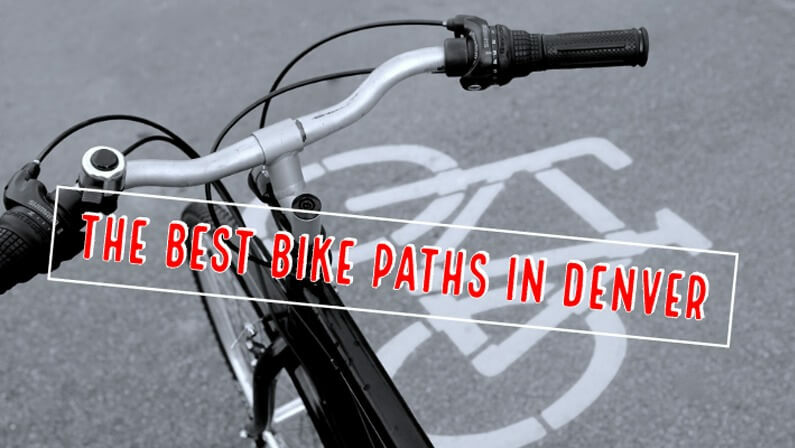 Biking around is certainly one of our favorite things to do and we wanted to share what we think are the best bike paths in Denver. Don’t have a bike of your own? In town visiting? No worries… Denver’s got you covered with their B-Cycle program. Highlights: One of the most beautiful and popular bike trails in the Denver metro area. Connects to the Front Range trail; an off-road bike path connecting Wyoming to New Mexico. A great path if you want to check out some of Denver’s coolest places, both natural and commercial. Cherry Creek Shopping District, Cherry Creek State Park (a ton of bike trails in there too! ), and Four Mile Historic Park just to name a few. Highlights: Surrounds one of Denver’s most iconic parks. Gateway to downtown for many professional commuters who have adapted to the two-wheel way to get to work. Great trail to take the whole family! Highlights: This centrally located trail is connected to countless other trails in the city making it a “bike highway” of sorts. Formed in the 1800’s, the trail was originally used by pioneers looking for wealth and land at the base of the Rockies. Highlights: If you’ve got the legs for it, bike this trail out to Red Rocks Amphitheater. There’s plenty of neat little shops and bars in downtown Morrison to rest those wiggly legs after this uphill challenge. Highlights: This mixed-use trail offers one of the best views of downtown Denver from the West side. FUN FACT ABOUT SLOAN’S LAKE! As the story goes, this lake was accidentally created when a farmer named Thomas F Sloan ruptured a subterranean aquifer while trying to build an irrigation well. Highlights: One of Denver’s longest trails. Originally built in 1859 as an ambitious irrigation project aimed at getting settlers headed west to stop and farm on the high plains. Great for more than just bikers! Joggers, hikers, equestrians, bird watchers, and more frequently travel this trail. Highlights: If you’re wanting to explore a bit of the Front Range by bike, then this is the trail for you. Prepare yourself for a 700ft climb as you make your way out to Golden. Don’t worry, the scenery makes all your hard work worth it. Highlights: It’s hard to remember you’re in the middle of the city if you’re wandering about this little piece of wilderness heaven trail. It’s safe to say we’ve given you a pretty good list of trails to start with, but if you’re ready for more adventure time, here’s a couple more resources on the best bike paths in Denver. We want to see your biking pictures! Comment below and write us a note!